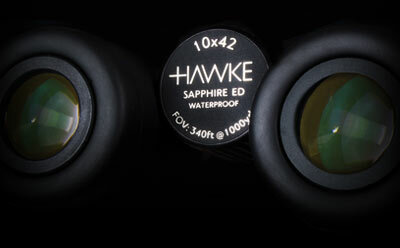 For high performing optics you need look no further than Sapphire ED. 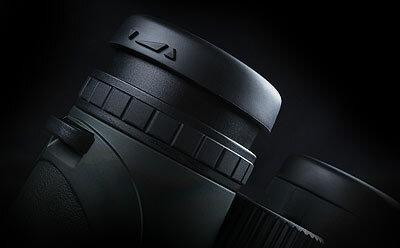 The award winning Fully Multi-Coated optical system carries exceptional features like Extra-low Dispersion glass objective lenses and dielectric coated prisms. Working together the results of the entire optical system are outstanding. Elimination of chromatic aberration, high light transmission and exceptional clarity are all noteworthy along with true colour reproduction of the wide view. Mechanically all operation is smooth and precise. 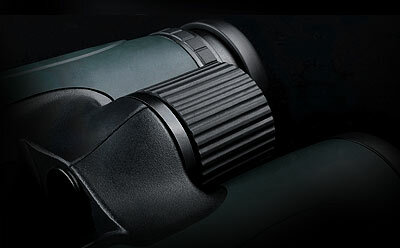 The aluminium engineered focus system features a quick turn ratio, the eye cups twist up with a precise step and the hinge is perfectly weighted. All styles within the range are produced with magnesium alloy bodies offering complete component stability as well as high grade soft touch rubbers making the fit and feel sumptuous. All models are available with a green or black finish. 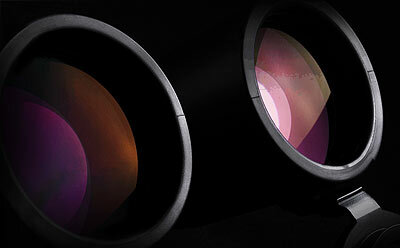 Bright, crisp, defined images with neutral colour reproduction outlines all of the optical systems in the range. The ED glass allows image detail not to be lost due to un-wanted chromatic aberration. The optical systems all offer a wide viewing experience that lets you feel part of the environment not just an onlooker. Two stage sculpted twist-up eye cups to set eye relief and a positive feel right eye diopter dial, with runner inset, for optimum set up for your eyes. The focus knob offers a smooth precise adjustment and a quick turn ratio making focusing the image effortless. Machined in a high grade aluminum. 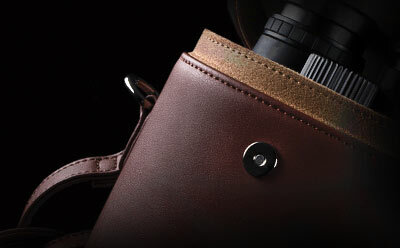 The classic fine grain real leather hard carry case accompanies all full size binoculars. Finished in tan, the case can be used for travel or storage when the binocular is not in use. High grade materials precision engineered, designed from conception to offer the best performance available. From the magnesium alloy body to the soft touch rubbers, they are a cut above the rest.